Today, we travelled from Paihia to Cape Reinga, which is right at the top of New Zealand! To do this, we booked on with a tour that gave us some interesting stop off points on the way. Kauri Trees are native to New Zealand and are being preserved. They are huge, thick trees that are super old. Apparently New Zealand was more or less a forest until the humans started to mess around lol. Our first order of business, after being picked up by the coach was to go to the beach and grab a coffee. As you can see from this photo, the beach was completely isolated. The sand was soft and the wind was perfect. A great way to start the day! After this, we drove up and got some fish and chips, and ate this in a serene location. Being from the UK, I am partial to some fish and chips, and this was absolutely delicious. However, the truly amazing thing was the view we had as we ate! It was so calm and peaceful until seagulls kept trying to steal our food. Apparently kiwis are very big on fish and chips and I look forward to seeing what other foods New Zealander’s are into! Finishing up with some great ‘tip-top’ ice cream was the perfect way to end lunch. 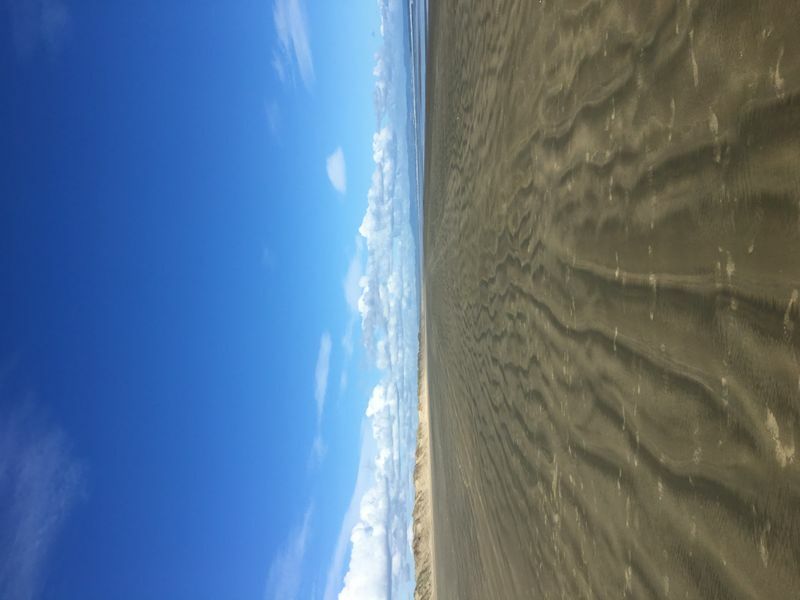 I didn’t know that New Zealand had sand dunes until today, when we had the opportunity to boogie board down some. 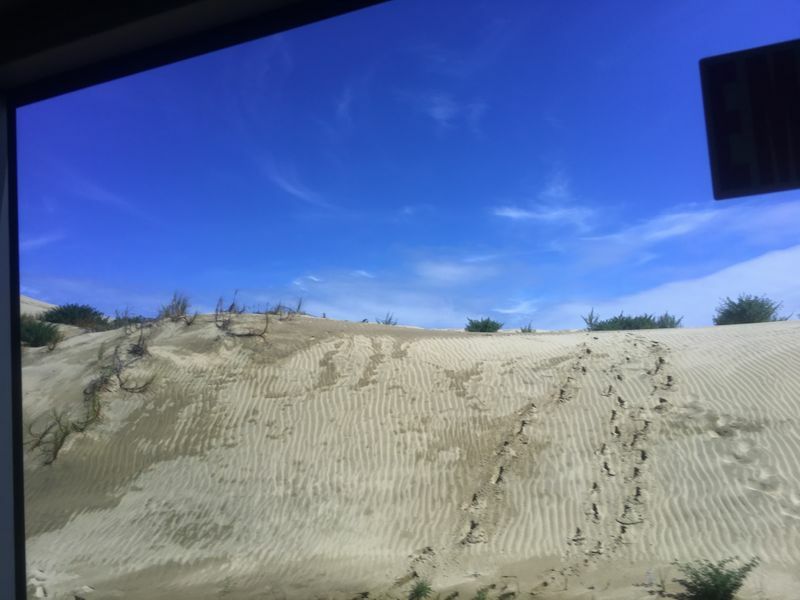 The sand was so gold and soft, yet you picked up some serious acceleration on the way down. The main attraction for today was Cape Reinga. It is a lighthouse at the top of New Zealand, which the Maoris believe dead spirits depart from here to the afterlife. I felt very spiritual in the area, particularly at the light house. The whole area was very tranquil and you could see the areas whereby the Tasman sea an Pacific Ocean met, creating a crashing sound, breaking the general silence. 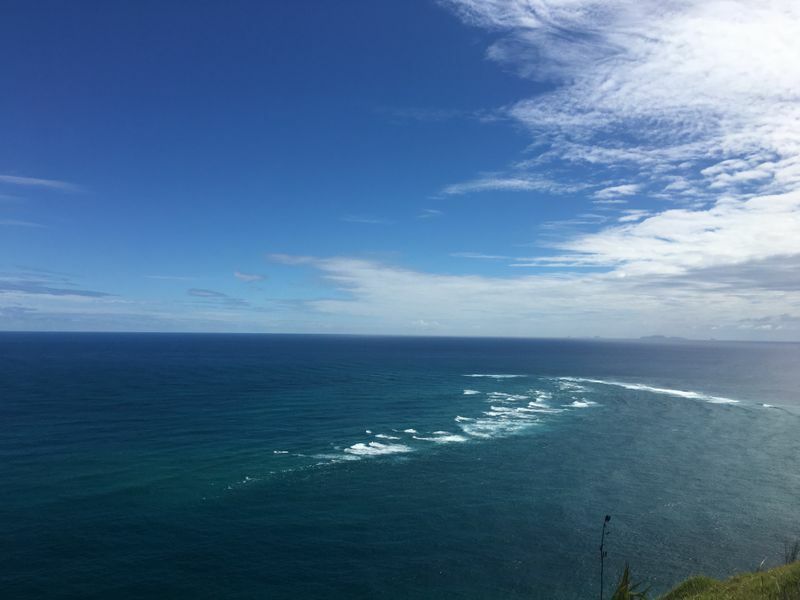 The views from Cape Reinga were simply stunning.One thing I have realised is that New Zealand seems to respect its indigenous peoples more than Australia or America. I am sure they have legitimate complaints too, but there seems to be a very clear attempt to respect and even celebrate their way of life! I look forward to learning more about the Maoris on my journey. Driving back, we drove on the ‘90 mile beach’ which actually isn’t 90 miles. Nonetheless it was a beautiful stretch of beach. 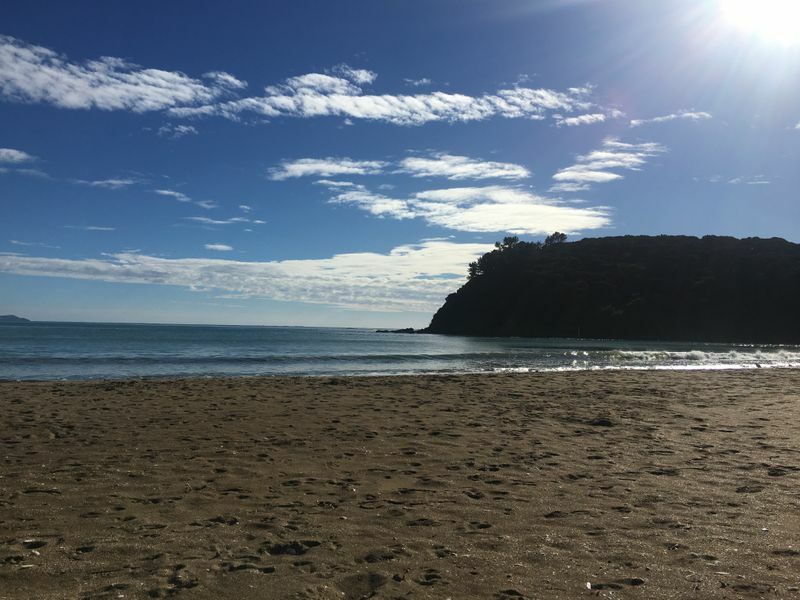 If you want to follow my journey through New Zealand, please feel free to follow me!